And while you're busy scrambling to get together your return for this year, a new Time article points out six new (incredibly strange) taxes that may be coming your way in the very near future. A few have even already passed. A 5% sales tax has been proposed in Ohio for entertainment such as circuses, museums, bowling and tickets to sporting events and concerts. This proposed tax would even be charged on tickets for high school sporting events. 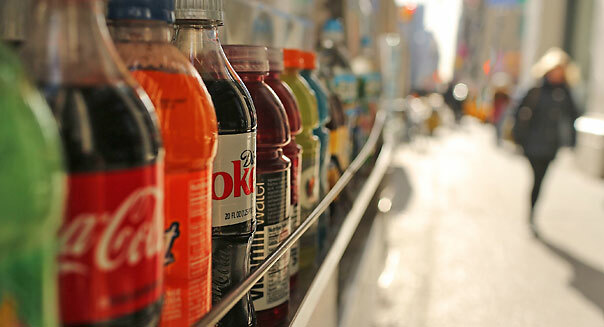 Taxing soda is not a new idea, but the concept has come up again in Vermont, where a bill was recently advanced to add a tax of 1 cent per ounce on every sugar-sweetened beverage sold there. You might think your state would want to commend you for choosing an environmentally friendly vehicle, but think again. States make a lot of money taxing gasoline sales, which is earmarked for maintaining and building roads. As such, Washington state is adding a $100 annual tax on electric cars., and is also considering adding a $25 tax on bikes that retail for $500 or more. The argument is that cyclists and electric car drivers aren't paying their fair share of the costs to build and maintain roads. In Virginia, you could soon be taxed for every mile you drive. Some estimates put the cost of such a tax between $108 and $248 per year, compared to the $96 drivers currently pay in federal gas taxes. Many who oppose the tax are concerned that allowing states to monitor their personal mileage would be an invasion of their privacy. Not even your wood is safe. Retailers in California are now collecting an extra 1 percent tax on sales of 2-by-4s, plywood and other unfinished lumber. The new tax is estimated to generate between $30 million and $35 million a year to help the state enforce its stringent timber-harvesting regulations. At the beginning of February, two congressmen proposed a bill that would end the federal prohibition of marijuana and allow it to be taxed at the federal level. To be clear, this legislation would not legalize the use of marijuana in every state, but it would remove it from the Controlled Substances Act. The Marijuana Tax Equity Act also includes an excise tax on cannabis sales, along with an annual "occupational tax" on workers who deal with marijuana sales. Is Obamacare Negatively Impacting Your Tax Bill?